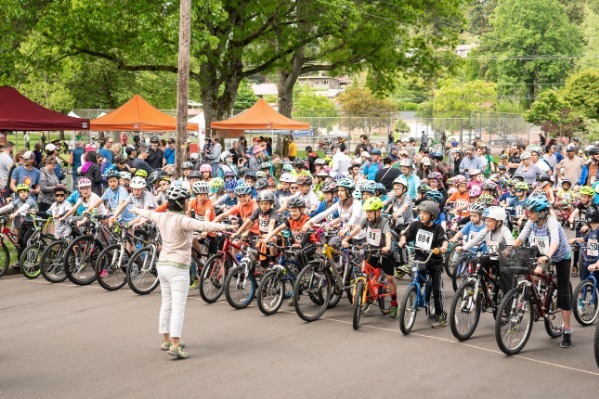 Join the 9th annual Corvallis Spring Roll, a bike safety and skills event for kids 12 and younger! Ride a bicycle-powered carousel, set a personal best on the road, practice your off-road skills on our obstacle course, and more. Activities in the Cycle Fair are free. The Road Ride requires paid registration. Scholarships are available. All registered riders are entered into our prize giveaway that includes a new bike! Road Ride Registration: Pre-registration opens April 14 at $10 per child or $25 per family. On the day of, registration is $15 per child or $30 per family. Proceeds from this event benefit the Corvallis Bicycle Collective.